Multi-energy systems (MES) are considered various energy carriers and energy players in an integrated energy model. Vast amount of decision making data is gathered in these systems that cannot be processed by conventional methods. Cloud-based computing is an opportunity to develop these kinds of integrated and efficient approaches. 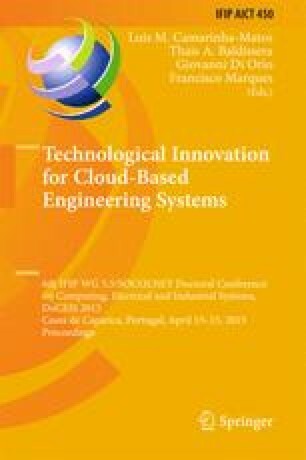 Developing mathematical models that can be compatible with cloud-based engineering systems will help decision makers to enhance the system agendas in short to long term studies. In this paper, the energy hub approach is developed to consider electric reserve ancillary service in MES. The reserve is modeled as a virtual energy output that can be injected into the upstream network. The reserve service is defined for electric energy converters and storages, comprehensively. Therefore, the energy hub mathematical model is developed and new elements are added to the input and output vectors and system conversion matrix. For energy converters, reserve is defined as the capability of the converter to increase its output service to its maximum operational limits. Moreover, for electric storages this capability is also restricted by storages’ state of charges. The numerical results demonstrate the importance of reserve considerations in MESs and allow assessing the proficiency of the proposed model.